One story thread that has weaved in and out over the last several years is the possibility of the Kohl’s department store coming to Carson City. Kohl’s built new stores in Reno a few years ago, and it’s one of the big-box department stores in our area that seems to still be able to thrive. Gottschalks and Mervyn’s both failed in the last couple of years, and J.C. Penney is hanging on, but Kohl’s is not only going strong but is still expanding. There has been talk for years of them opening a store in the Carson City area, but the deals are always in the early stages, or dependent on some other deal that later falls apart. Most notably, Kohl’s was supposed to be a major anchor of the Riverwood shopping center, which was to be built right over the Douglas County line near Best Buy. But the Riverwood developers packed up their tractors and went home over a year ago, and nothing has been done with the site since. So because Riverwood is dead, Kohl’s had to go looking around for a different space to be in. Now it seems like a deal has been finalized, one that is unlikely to fall through. Kohl’s apparently has purchased the old Mervyn’s building in Carson, in the Eagle Station center next to Raley’s. 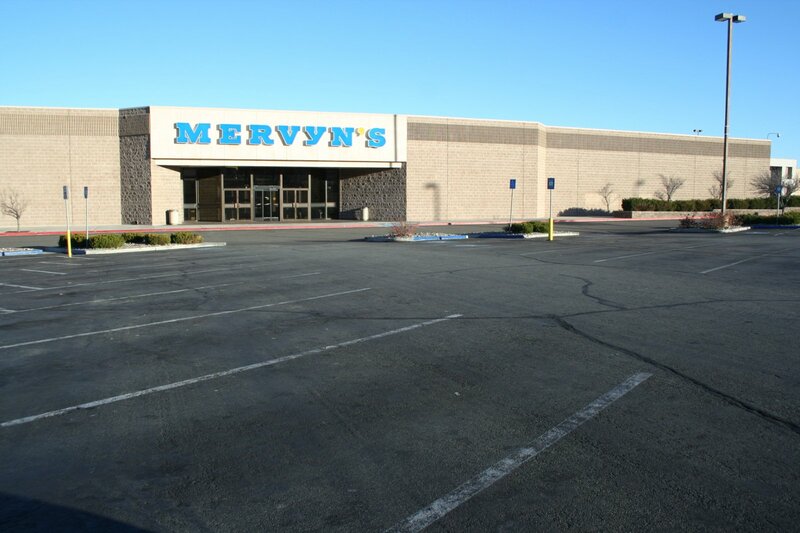 The Carson City Mervyn’s closed in December 2008, a little over a year ago, and ever since the building has been sitting empty, just one of many big empty spaces in Carson City that are waiting for a tenant to give them new life. Kohl’s just yesterday went public with the news that they bought the building, and will be renovating it through this spring and summer. Opening date is tentatively set for October 2010, nine months from now. This is something Kohl’s has been doing a lot of. They have been acquiring former Mervyn’s locations all over the West and converting them into Kohl’s, especially in areas where they don’t already have a presence. The closing of stores like Mervyn’s and Gottschalk’s have left large retail holes in many communities, like Carson, and Kohl’s is ready to step in and fill that hole.